Anniversary Giveaways - Inventory and Bank Slots! Nine years ago, Star Trek Online launched out into the universe. It’s been a heck of a ride so far – we’ve battled the Borg, walked the surface of Deep Space Nine, welcomed our friends in the Romulan Republic, the Dominion, and the Discovery Eras into the fold, traveled back to the days of Captain Kirk and Commander Spock, and battled the Hu’rq alongside the stars of Deep Space Nine. 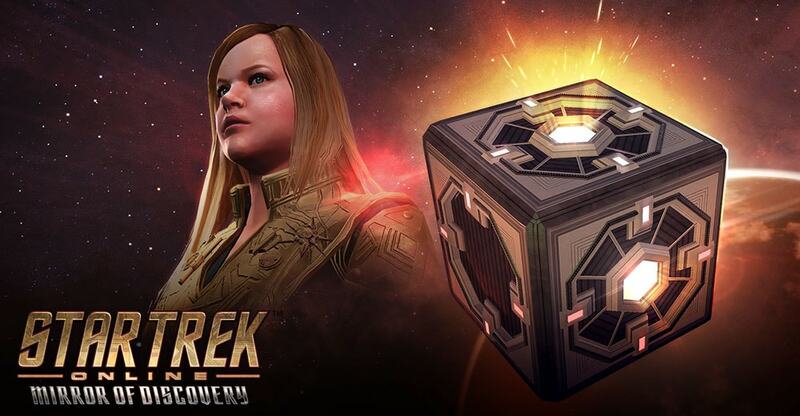 Now, as we look towards the future with a brand new season and the continuation of the Age of Discovery, we want to celebrate with you and show our appreciation for all the Captains that protect the galaxy of Star Trek Online. Each day of this week, we’ll be giving away a brand new surprise gift. All of these gifts will be accessible for one day only in the in game C-store. What are we giving away? Check back here each day for information on today’s prize, and how you can claim it. It's the final day of giveaways! Feeling like you need a little more room for all of your stuff? We’ve got you covered. Unlock twelve Bank Slots and twelve Inventory Slots, once per account, today in the “Promotions” tab of the C-store! Enjoy yourselves, and thanks for exploring the galaxy with us these last nine years.